Leslie LaPage launched the LA Femme Film Festival in 2005 after a dispiriting trip to the Sundance Film Festival, where she saw precious few films directed or written by women. 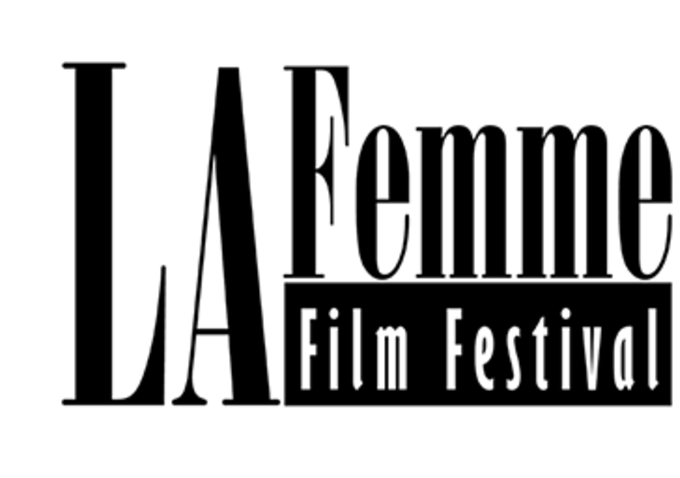 The first LA Femme festival featured 40 films and two seminars; this year’s festival screened over 100 films, hosted six seminars, and culminated in a fully produced awards show. Six films garnered distribution deals from Origin Releasing. Celebrity honorees this year included Michelle Vicary, Executive Vice President of Programming for Crown Media Family Networks (owner of the Hallmark and Hallmark Movie Channels) for Executive Achievement; comedian Sara Rue, who recently sold her first movie as a producer to Dimension Films and her first half-hour pilot as the writer/creator to Warner Brothers and the CW; and Judy Reyes (Devious Maids), who was honored with the Lupe Ontiveros Image Award. Julianne Michelle & Joycelyn Engle took home the award for Best Feature Producer for Awakened, while Ilse van Lamoen won for Best Documentary with Daughters of the Niger Delta. I spoke with LaPage, who said that the seminar component aims to educate women filmmakers who haven’t necessarily gone to film school but nevertheless have stories they want to tell. As part of this effort to make more women into experts in the field, she provides filmmakers who submit to the festival but do not get in with VIP passes to the 4-day event and hopes they will use what they learn to submit again. The “Alternative Methods for Breaking In” seminar, composed of the women’s committee of the Writer’s Guild, provided perspectives on a variety of avenues to success, from working in a foreign country to winning obscure screenwriting contests. Panelists offered practical advice such as “you need a lawyer more than you need an agent” alongside encouragement never to give up. “Don’t take no for an answer” was also the theme at the “From Web Series/Internet to Primetime” seminar, where panelists enthused about the opportunities provided by the internet not just to create your own content but also to monetize it. The festival’s tag line “By Women, For Everyone” was evidenced in the fact that neither of the seminars were about the fact that the participants were women. They were, as at non-women centric at festivals across the country, simply panels of creators talking about their craft. Nevertheless, I couldn’t resist asking the Alternative Methods panel how being a woman factors into their careers. Elizabeth Martin shared that she and her writing partner, Lauren Hynek, who are working on a script for Amazon, managed to leverage an earlier script–a zombie stoner comedy–based on the fact that they were not the bros that producers expected to find attached to such a project. On the other hand, some of the men they work with regularly refer to them as “the girls.” Martin shared, “Every time they say it I get a little [makes face] ugh. I’m a woman. I’m a lady, and I’ve been doing this for a while. I’m not really a girl.” Other panelists shared similar experiences of being treated as novices just because they are women. In an encouraging sign of progress, this year half of the films in the domestic drama category at Sundance were by women. LaPage says she thinks women in the industry have taken important steps in the last few years, but that we still have a ways to go. Her ultimate goal is to create a 100,000-person attendance 10-day festival that includes live theatrical and musical performances by women, a convention of women video game creators, and fine art exhibits. She also plans to expand the film component to ten screens that show both domestic and international movies. I want to be one-stop shopping for women creating art for the globe, whether that is in TV and film or fine art and theater, because media is media and entertainment is entertainment. It’s about women creating art for the globe. Holly L. Derr is a feminist media critic who writes about theater, film, television, video games and comics. Follow her @hld6oddblend and on her tumblr, Feminist Fandom.